A New American restaurant focused on regional and seasonal ingredients has opened its doors in the neighborhood. Located at 161 W. Girard Ave. in South Kensington, the BYO spot is called Cadence. Chefs Samantha Kincaid, Jon Nodler and Michael Fry--alumni of the High Street Hospitality Group--have joined forces for the new venture, which features an eight-seat chef's counter and a la carte and prix fixe menus, reports the Philadelphia Inquirer. With a four-star rating out of nine reviews on Yelp so far, Cadence has made a promising start. 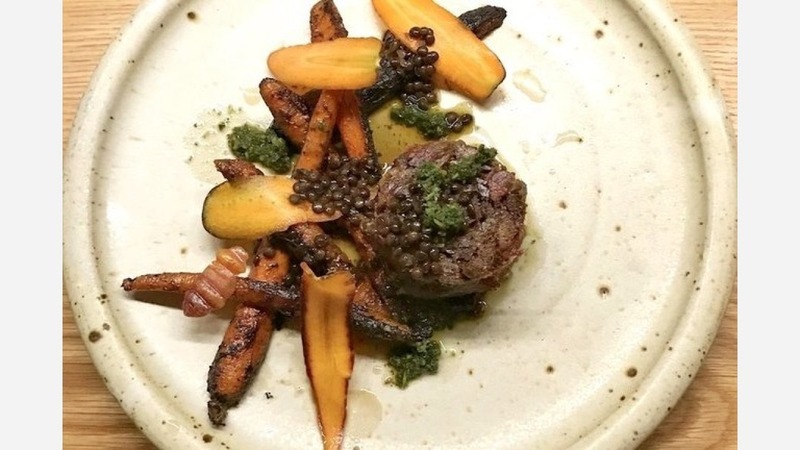 Brittany W., who was among the first Yelpers to review the new spot on March 24th, said, "Cadence has a wonderful new rustic vibe and amazingly thoughtful dishes. The four-course menu is a must to get the full flavor experience. The chef and staff not only provided us impeccable service, but plenty of information about the inspiration of all of their unique dishes." Yelper Anna Marie C. added, "I am so excited for a new lovely BYO in my hood--and I think they are still hitting their stride...Overall, a very good meal!"